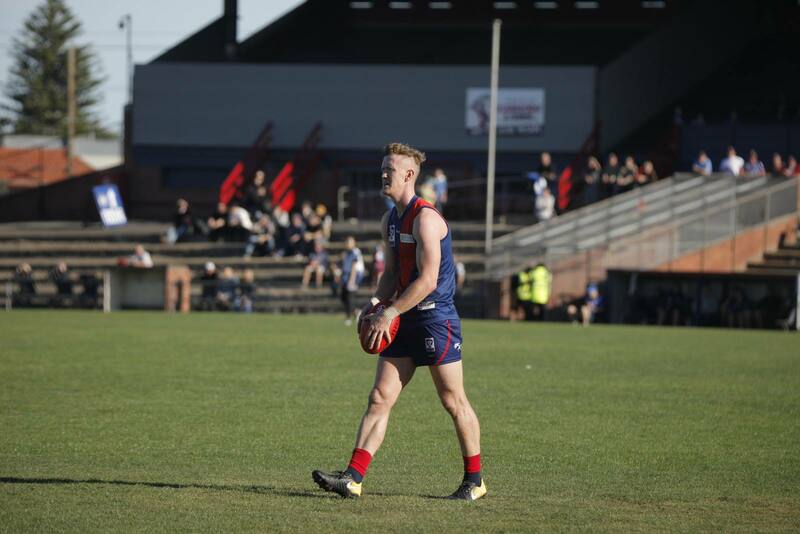 Midfielder Liam Hunt will this week play his 50th VFL game when Coburg take on Frankston this Sunday at SkyBus Stadium. Hunt is now in his third season at Piranha Park following a career best year last year. He took out the Jim Sullivan Medal (Club Best and Fairest) in 2017 and was also named on the bench in the VFL Team of the Year. He averaged almost 30 possessions a game and kicked 13 goals over the season. Hunt has continued to build on that form so far in 2018, having already been named Lion of the Round in Round 4 after picking up 37 disposals and kicking a goal. Hunt also currently has had the second most disposals of any player in the VFL this season. Hunt arrived at Coburg as a 19 year old. He played his junior footy at the Eltham Football Club where he won five Junior Premierships before playing three seasons for the Northern Knights in the TAC Cup, where he also managed three appearances for the Northern Blues as a 23rd man. With game 50 on the horizon this weekend, Hunt in looking forward to taking on Frankston. “It’s come round pretty slow, it feels like a long time ago I played my first game,” he said “It’s a great feeling to notch 50 games at such a proud and long standing club. That first game is still one of Hunt’s favourite Coburg memories. In his third season at the club, Hunt continues to work on his game and trying to add more strings to his bow. The Lions are currently winless but the signs have been there and there is lots of improvement happening every week. Head down to Frankston on Sunday afternoon to watch Hunt and the rest of the Lions in action in the Beyond Blue round of the VFL. Burgers 1988 Premiership Heroes reunite to reminisce success!